It’s no secret that our Houseful loves the zoo. The ladybug is enthralled with the lions and bears, and has been for quite some time now. She asks at least once a week if we can go to the zoo and see all of the animals. 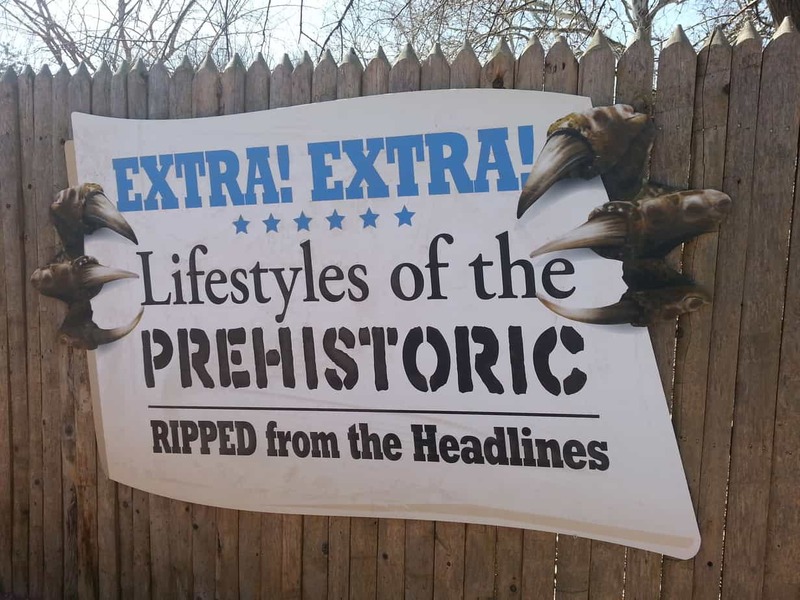 Since the weather has been kind of icky, I’ve been reluctant to go, however, after receiving an invitation to come to the media preview of the new Dinosaurs Alive exhibit at Brookfield Zoo, I decided it was high time we get out there. It turned out to be a great choice. The weather cooperated, and we had a great time. I even scooped my mother in law up for some fun time too! 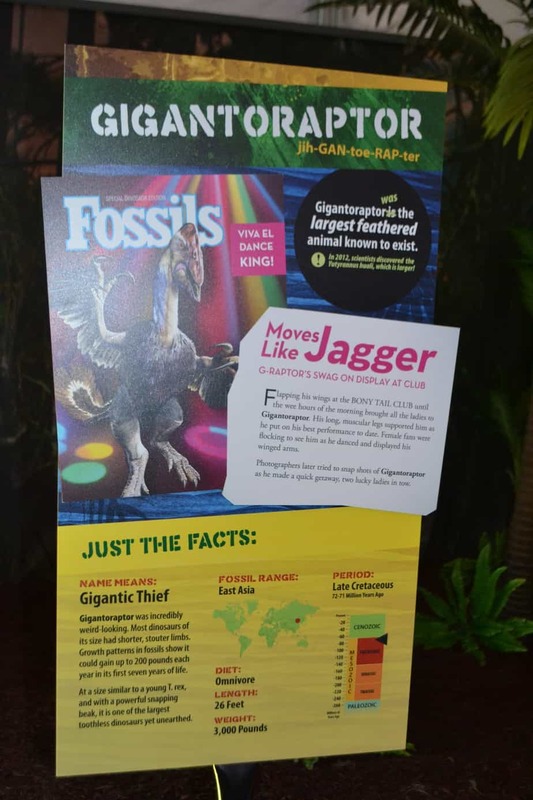 The entire exhibit, which runs from now until October 27th of this year, and costs $5 for adults and $3 for children, hosts 24 life-sized animatronic dinosaurs in the area right next to the children’s zoo. 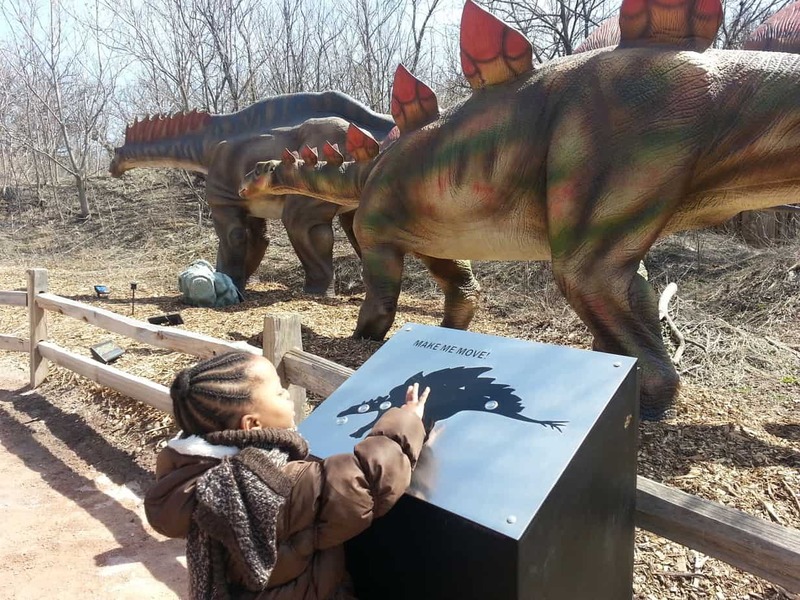 Children are able to even interact with some of the dinosaurs on the trail, moving their stomachs, heads, and tails, and hearing the sounds they make. 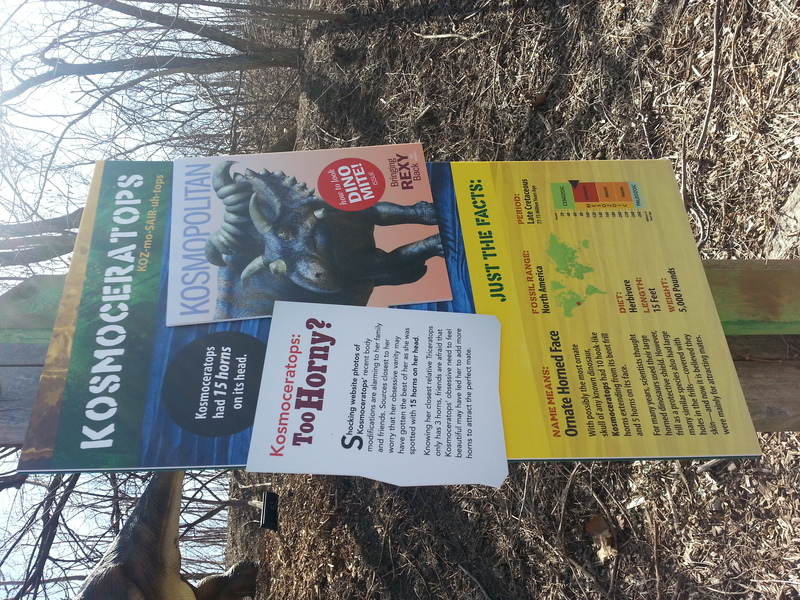 As you can see below, the ladybug had a great time seeing the different movements of some of the dinosaurs. 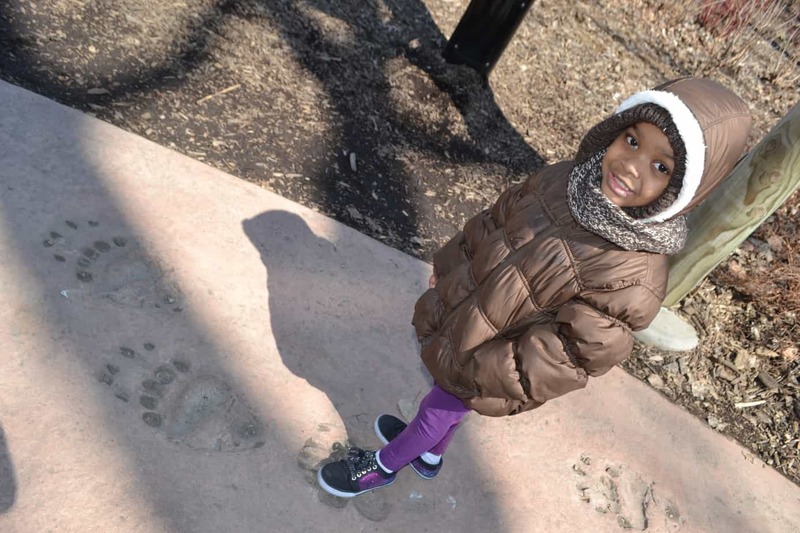 Measuring her foot against bear paw tracks. She was pretty impressed that her feet could fit into a bear paw. His head was literally as large as the entire body of the ladybug. His paw, the size of her face. Sure wouldn’t want to come up to this guy in the woods. Gorgeous bear though. 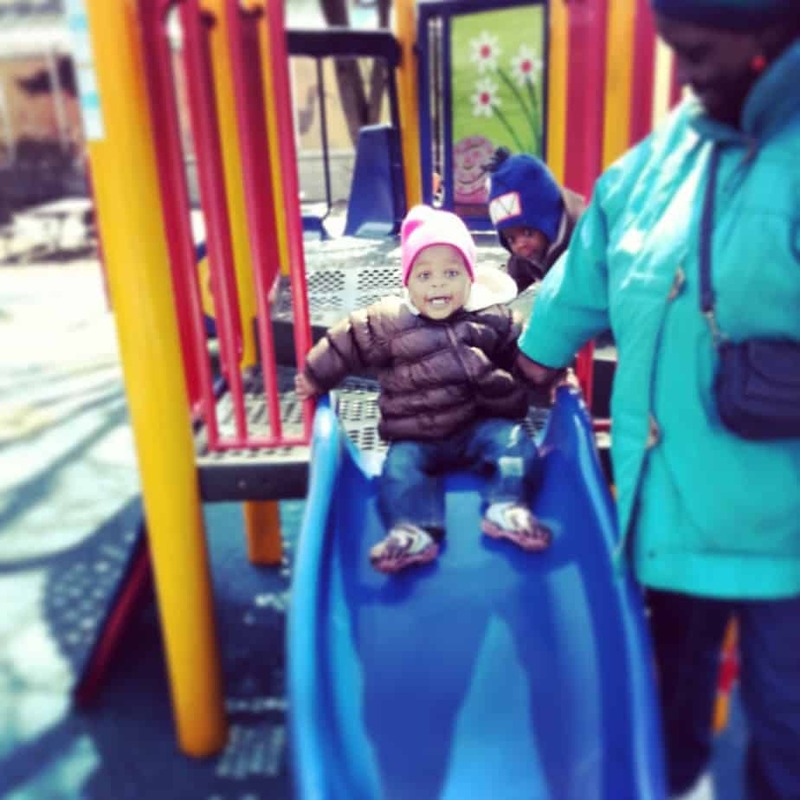 Of course we had to take a break at the playground, and as you can see, Lil’ Miss had a fantastic time. 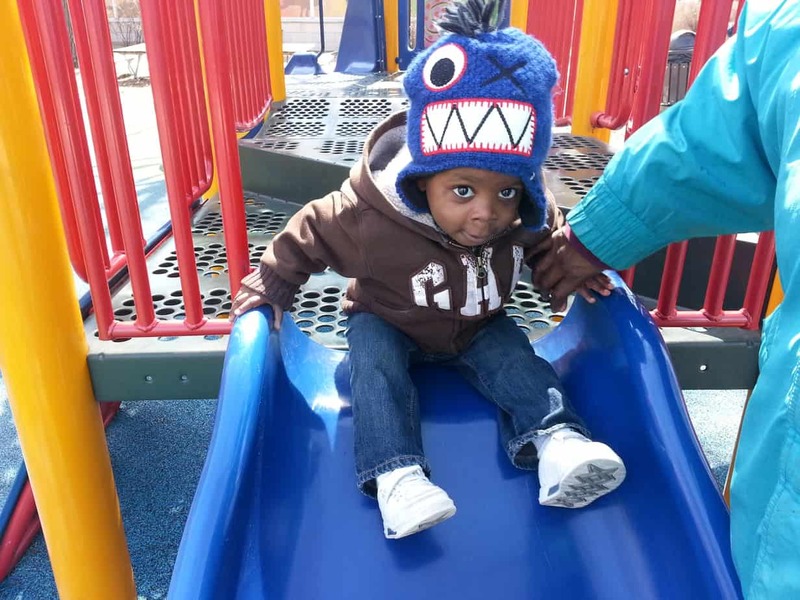 Sliding is an exciting event. Honestly, it makes me happy to see the little things that make my kids happy. Brookfield Zoo tends to have so much to keep them enthralled. Mr. Daredevil. This was the jungle gym for 2-5 year olds. He continuously tried to leave this one and go to the one for children 5 years and up. Let’s just say we had a couple of moments where hearts *may* have dropped into stomachs. There’s also exciting news with admission for Brookfield Zoo. 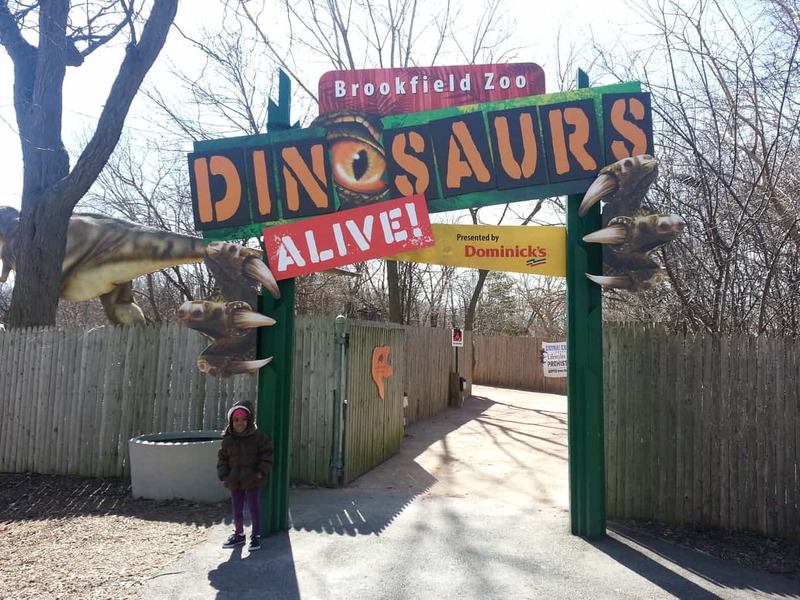 If you’re a couple or a single person who loves the zoo, but don’t have a need to pay for a family membership because of family size, Brookfield has introduced the Zooper Pass. 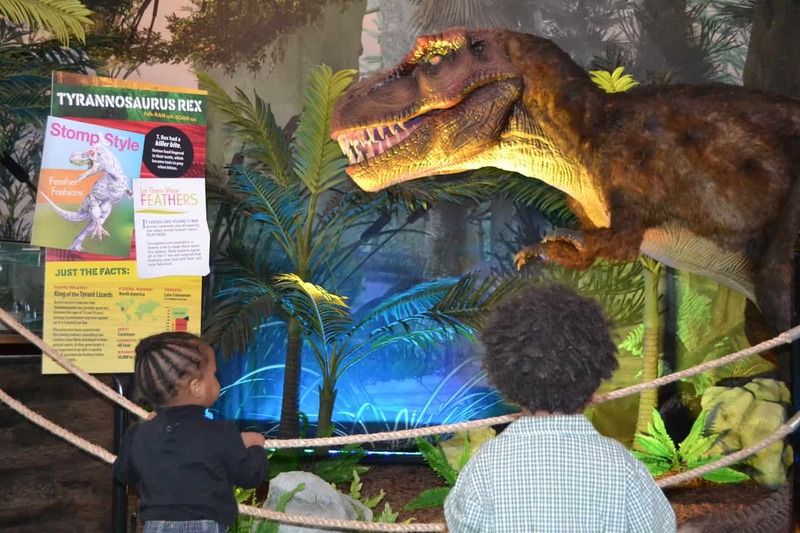 The cost is less than $40 and covers admission to the zoo for an entire year PLUS single admissions to all of the special exhibits that they have, including Dinosaurs Alive. It does not cover parking though, so plan accordingly. 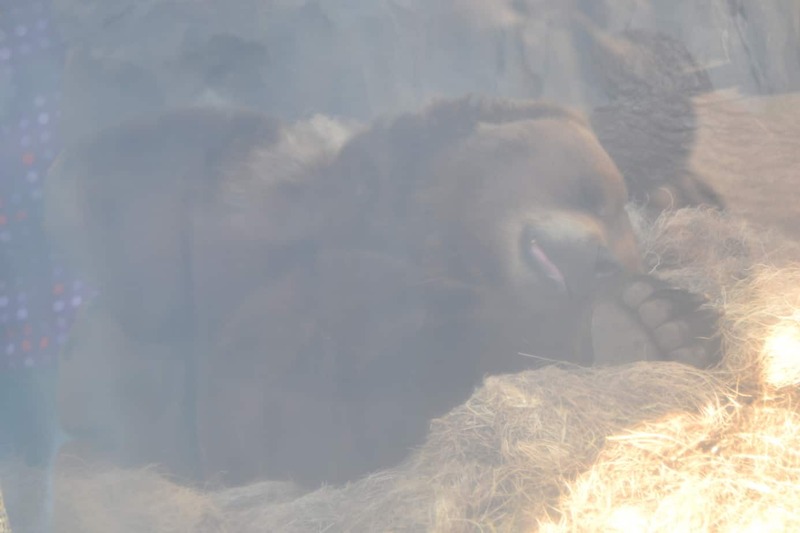 If you would like to see more photos of our zoo adventures, you can click over to my Google Plus album and see. Keyonda Pyles liked this on Facebook.